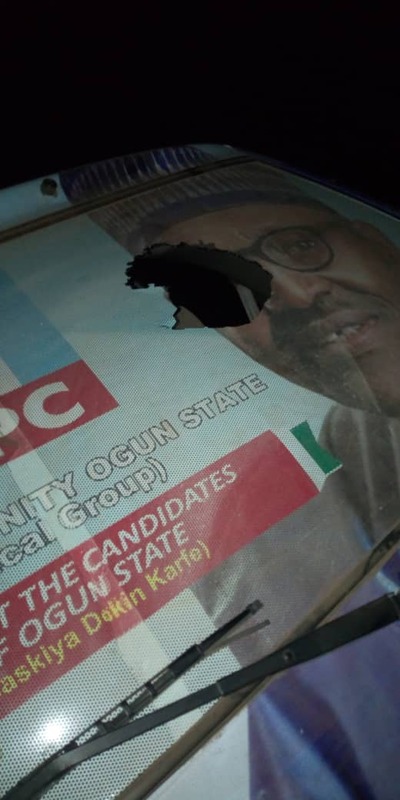 The campaign train of the governorship candidate of APC in Ogun State, Prince Dapo Abiodun was attacked by hudlums allegedly supporting the Allied People’s Movement when they visited Owode town in Obafemi Owode Local Government during his ward to ward campaign tour to the area yesterday. This ugly incident occurred after the business mogul had addressed the mammoth crowd that trooped out in their large numbers to welcome him to Owode area of the local government. On their way out of the town to the next point which is Ofada town, the hoodlums began to shoot sporadically and threw stones at their vehicles. 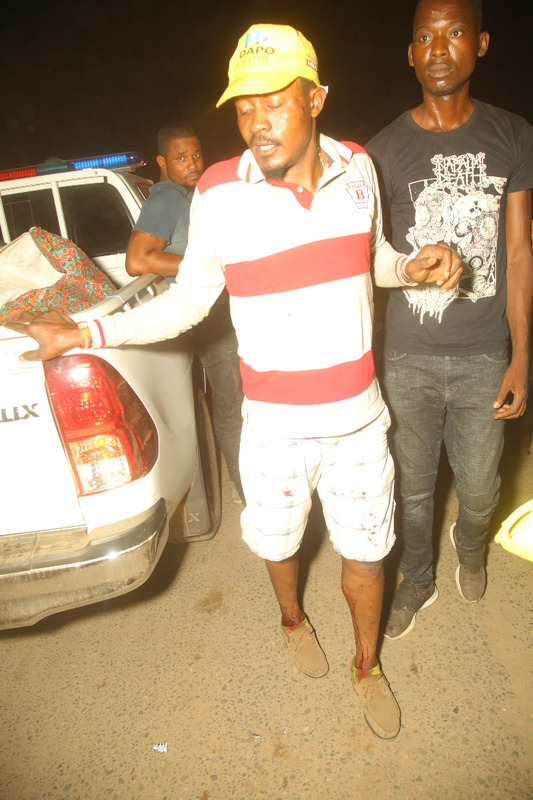 The security men attached to the campaign convoy managed to escaped the guber hopeful but some of his supporters were not lucky as they sustained various degree of injuries varying from gunshot wound, machete and massive beating while some vehicles were also destroyed. You will recall that same ugly incident occurred exactly a week ago when his campaign train was attacked at Elega area of Abeokuta North Local Government during his ward to ward campaign tour to the area.